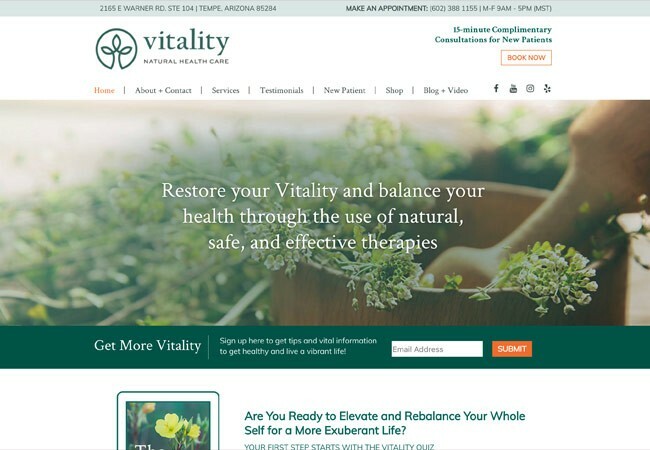 Vitality Natural Healthcare is a naturopathic medical practice located in Tempe, AZ. VNHC offers a variety of services, including acupuncture, hormone balancing, homeopathy and pain management. Services performed on this site include: complete customization and implementation of the Divi WordPress theme based on design by Rebecca Pollock. Additional functionality includes a quiz with customized results.